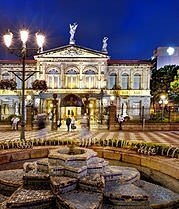 San José offers a touch of the city life where you can visit the Gold Museum and the Jade Museum while you also learn a little about the history of the country. 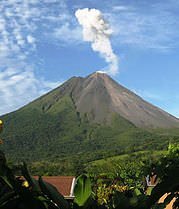 The town of La Fortuna is home of the great Arenal Volcano, which is also one of the most popular attractions in the country. Hot springs are for relaxation followed by some adventure. Nearby are the cloud forests of Monteverde. There you will find hanging bridges and treetop views of the canopy below. 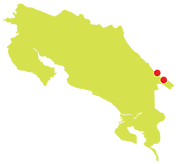 The Caribbean Coast is the hidden jewel of Costa Rica. 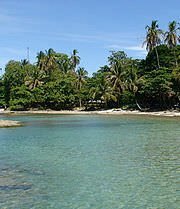 There are stretches of beaches, each different than the last. 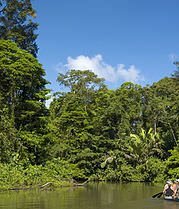 Tortuguero National Park. There you’ll have a once in a lifetime chance to see the sea turtles nesting. Finally, the Pacific Coast offers many beach towns to choose from. Tamarindo, Jaco and Guanacaste each have their own distinctive vibes. 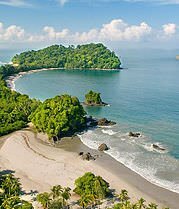 Manuel Antonio National Park also provides the opportunity to see monkeys and other wildlife. Then go out to dine on international cuisine. Finish up with tropical drinks in popular night clubs. Come to Costa Rica to see the sloths or just to be one! Most of all, the idea is to enjoy yourself.